Here at CP Shutters we are proud to be the number one supplier and installer of premium wooden interior Shutters in Essex and East London. We serve all areas that fall within the county of Essex but will also come further afield if required. If you live anywhere outside of the county, please call 01702 68 69 70 to find out if we conduct surveys in your area. Have CP Shutters Installed Shutters near me? 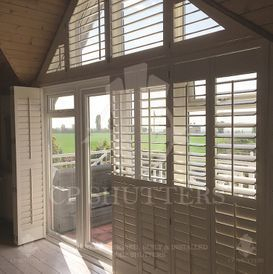 We have designed and Installed over 8500 premium quality interior plantation Shutters throughout Essex and East London. CP Shutters have installed Shutters in Southend, Brentwood, Chelmsford, Epping and Romford and many others, in fact its hard to find a town or village in Essex we have yet to visit! To give you an idea on where we work, the link above directs to a map showing the location of our last 250 Shutter projects. To see projects on your doorstep, simply enter your postcode on the search bar once the map is open, it will direct you to your own road and list the closest projects to you. For data protection reasons we do not give out client names, house numbers or building names.